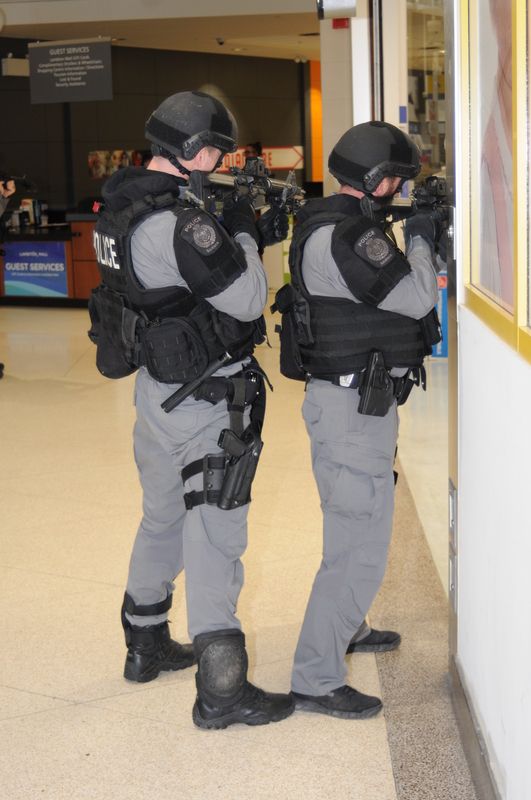 Since 1997, the Sarnia Police Service has maintained a part time team of Officers to respond to and resolve high risk situations through minimal force. Since it’s formation, the Emergency Response Team has evolved, receiving specialized training in the following areas; polic tactics, dynamic entry, stealth entry, sniper / observer, less lethal force options, canine tracking, crisis negotiations, high risk search warrants, barricaded and emotionally disturbed persons along with search and rescue, VIP security, and witness protection. This group of highly trained Officers consists of a Team Leader and 12 First Class Constables from various areas of the Service who receive this specialized training in addition to their regular duties. Each member has to successfully complete / pass an interview, physical fitness evaluation, task specific physical test, firearms assessment and psychological exam and interview before being selected. Once selected they must complete and pass the five week Basic Tactical Officer Course before becoming an official member of the team.